A hangover from legislation introduced when the average price of a home in Brixton was under £400,000 is giving everybody involved in the buying, selling, letting or renting of property a head start when it comes to making Britain’s housing stock energy efficient. Energy Performance Certificates were introduced in England and Wales as part of the Home Information Packs for domestic properties with four or more bedrooms on 1 August 2007. It became a legal requirement for vendors and landlords to provide an Energy Performance Certificate free of charge to prospective buyers or tenants on 9 January 2013. A copy of the EPC must also be handed over to the eventual buyers or tenants, although only a handful of tenants request their rental property’s energy performance statistics. But EPCs are not just a powerful marketing tool for homes that are already energy-efficient. Obtaining an EPC is the first step property owners should take if they want to be eco-friendly and save hundreds of pounds a year on their energy bills. What’s checked during an EPC site visit? While homeowners can recoup many of the costs of improving their property’s EPC rating through its rise in value and lower fuel bills, landlords have an extra incentive to improve the carbon footprint of a buy-to-let investment. From 1 April, tenants in will have the right to request landlord consent to carry out energy-efficiency improvements. Under the Energy Efficiency (Private Rented Property) (England and Wales) Regulations 2015, this consent cannot be unreasonably withheld unless the landlord proposes implementing alternative energy efficient measures. And from April 2018 it will be unlawful to grant new residential or commercial leases unless the property has a minimum EPC rating of E. This ruling will apply to all new and existing residential lettings from April 2020 and extended to commercial lettings in April 2023. The good news for landlords is an EPC is valid for 10 years and the vast majority of properties in the UK do not require any improvement to achieve an EPC rating of E.
The ratings are based on the number of Standard Assessment Procedure points a property scores during the EPC inspection. For a property to achieve an A rating, it needs 92-100 SAP points. Homes with a B rating have 81-91 SAP points, C-rated homes have 69-80 SAP points, while E-rated homes need to score only 39-54 SAP points. Extra SAP points are earned by making energy-efficient improvements. Fitting a modern condensing boiler, for example, will earn a property 47 SAP points and elevate it into the E-rating band immediately. However, other forms of energy-efficient improvements do not carry as much weight when it comes to a property’s EPC rating. Installing double glazing is worth only 4 SAP points, upgrading roof insulation earns 10 SAP points, while cavity wall insulation adds 13 to a home’s SAP points total. 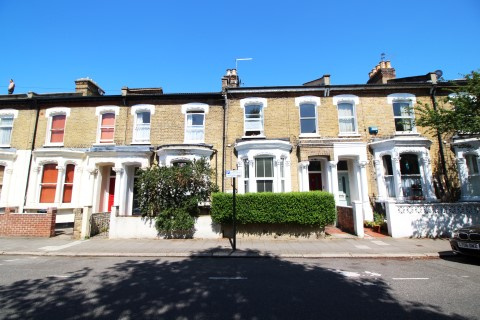 Properties in both Battersea and Brixton with an EPC rating of C are typically worth 15% more than a similar house or flat with an EPC rating of E – the minimum standard landlords will have to achieve in April 2018. For an up to date valuation of the rental and sale value of your property in Brixton and Battersea, contact Eden Harper today.